LOVE & LIGHT Pendant and necklace – This empowerment pendant is created for you to use on a daily basis using channelled Soul Vibration artwork. Wear it and you will feel: Lighter, Supported, Optimistic, a brighter outlook, an inner Joy, Acceptance of others, an inner glow shining outwards. 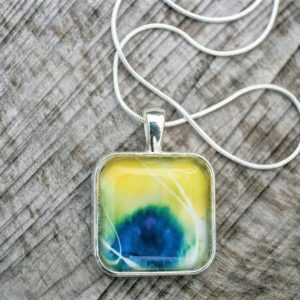 This is a learning tool for your SOUL – the colours and vibration emitted from this pendant brings a daily reminder to your soul from deeper realms. 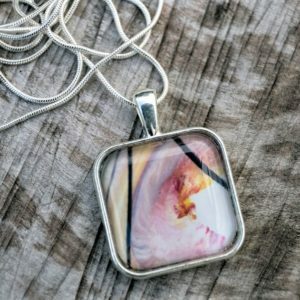 From the artwork LOVE & LIGHT this image is set within a pendant and comes with a 36″ Sterling Silver Plated 1.0mm Snake chain necklace. FREE Postage in New Zealand. 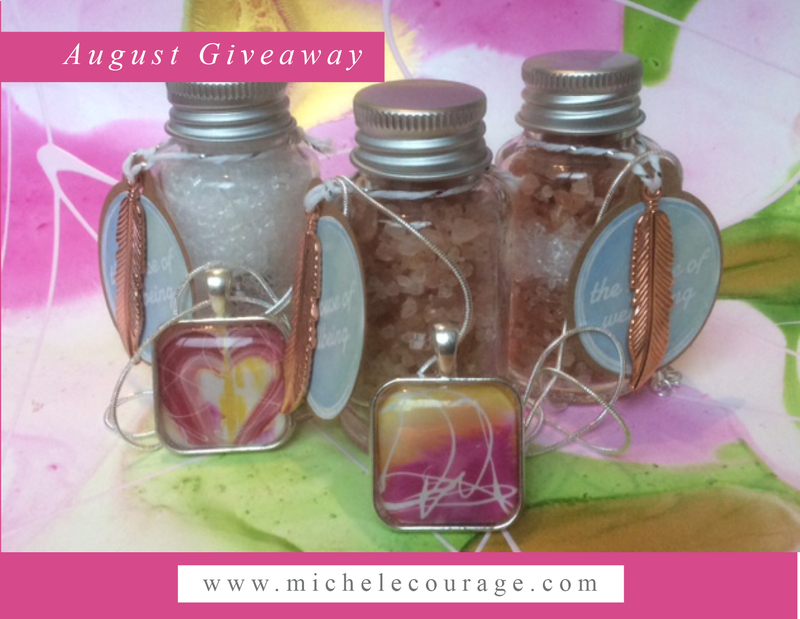 AUGUST PROMOTION: Buy 1 EMPOWERMENT Pendant and get a free House of Wellbeing bottle of Bath Crystals! 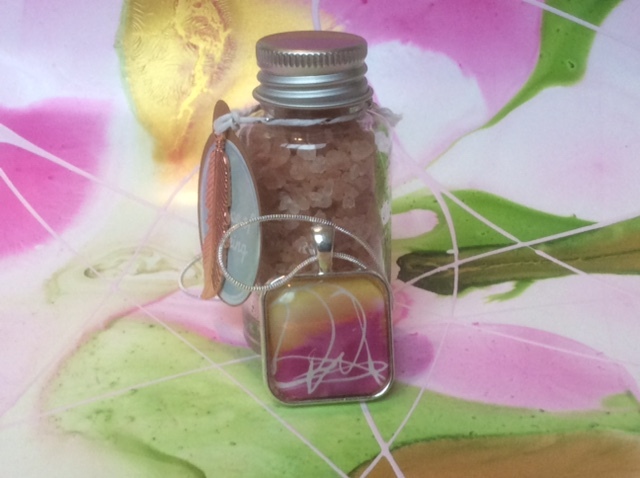 Buy 2 EMPOWERMENT Pendants and get 3 bottles of House of Wellbeing Bath Crystals! 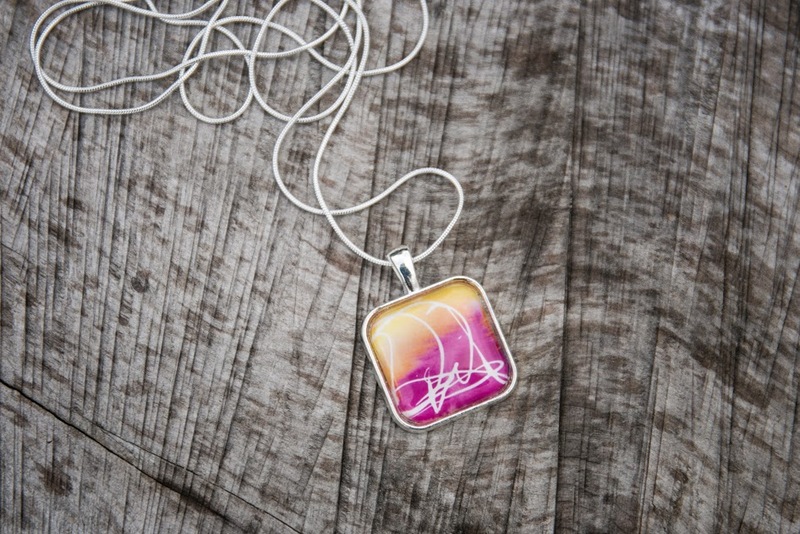 Each one of my empowerment pendants are created for you to use on a daily basis. The LOVE & LIGHT Pendant channels the empowering energy of Love and Light, bringing this lighter and loving energy into your life. 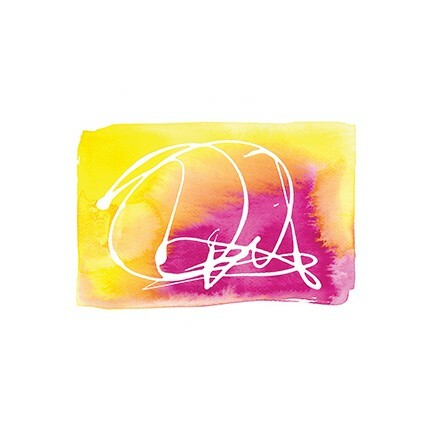 This image is taken from the Soul Vibration painting LOVE & LIGHT (also available as a print) – the colours and ‘white coding’ has been used specifically to bring more LOVE & LIGHT into your life. 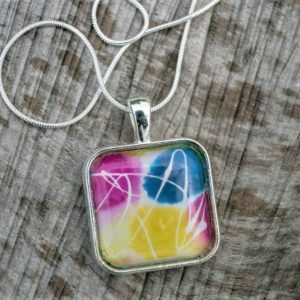 Wear it and you will feel: Lighter, Supported, Optimistic, a brighter outlook, an inner Joy, Acceptance of others, an inner glow shining outwards.This pendant makes the perfect loving gift. It is a learning tool for your SOUL – the colours and vibration emitted from this pendant brings a daily reminder to your soul from deeper realms. 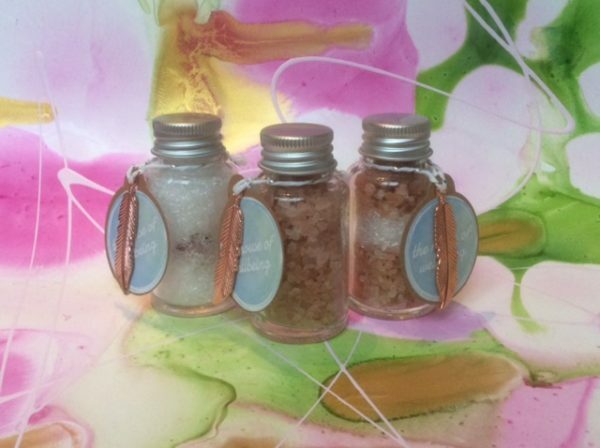 Each one of the series will help you to access another part of your “history” within the realms of the outer world. Bringing understanding and a more open Soul to your existing lifetime on this earth. 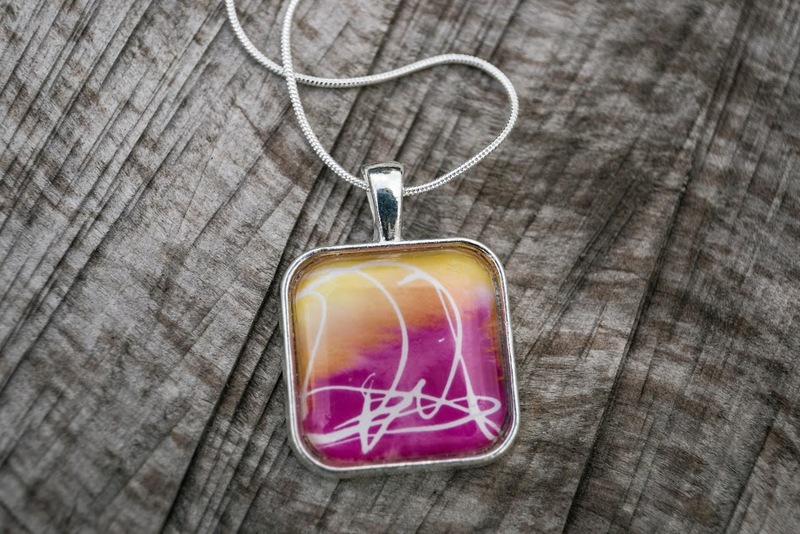 The love emitted from these Soul Artworks is how they heal using colour and vibration as their medium. – Created using SOURCE Energy. 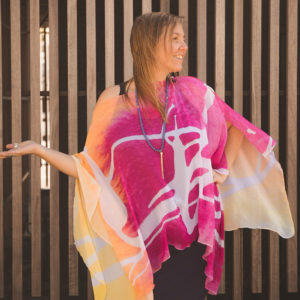 Spritual: “ I channel these artworks from source energy and from spirit to activate the healing journey of the recipient and help them tune into the frequency of their higher-self. 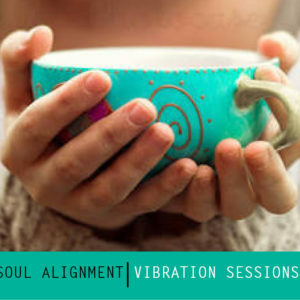 The frequency of the colours creates a vibration that emits out from the painting into your aura activating change and personal transformation. © Copyright michelecourage.com. No resale or reproduction rights are transferred with purchase.